Home Daily News Blog: Did You Just Sign an Illegal Settlement Agreement? Blog: Did You Just Sign an Illegal Settlement Agreement? Both Michigan law and federal law have long prohibited “restraints” on trade or commerce. Violations can include fines and criminal prosecution. There is the additional risk that a court will refuse to enforce agreements, including settlement agreements, that contain restraints on trade, upending expectations. The question, then, is whether non-solicitation provisions constitute “unreasonable restraints” on trade — and thus violations of state and federal law. To answer this question, Michigan courts follow one of two approaches depending on the relationship of the contracting parties. If the relationship is that of employer-employee, then the Michigan court will ask whether the employer has a “reasonable competitive business interest” in the non-solicitation provision and whether the provision’s duration, geographic scope, and type of prohibited employment is sensible. Kent County’s Business Court judge, the Hon. Christopher P. Yates, recently wrote that “non-solicitation agreements are usually afforded deference by Michigan courts.” Judge Yates, however, wrote in the context of employer-employee non-solicitation agreements. No Michigan court has yet squarely addressed, let alone answered, this question. Meanwhile, the U.S. Department of Justice has aggressively pursued and prosecuted major companies, including Ebay, Adobe, Google, Apple, Intel, Intuit, and Pixar, for entering into non-solicitation agreements with their competitors; the companies promised not to solicit, recruit, or hire each other’s employees.7 The Federal Government interpreted those agreements as unlawful restraints on trade and prosecuted the companies accordingly. Ultimately, the companies voluntarily agreed to enter into judgments prohibiting them from enforcing those agreements and banning future similar agreements. Ebay also agreed to pay $3.75 million to impacted employees and the State of California. In applying the rule of reason, the courts “must ordinarily consider the facts peculiar to the business to which the restraint is applied; its condition before and after the restraint was imposed; the nature of the restraint and its effect, actual or probable.” Further, the court must assess “[t]he history of the restraint, the evil believed to exist, the reason for adopting the particular [agreement], [and] the purpose or end sought to be attained.” In other words, the courts are tasked with a factually-intensive inquiry that seeks to understand the reason for the non-solicitation agreement’s existence and its impact on competition. Within this “rule of reason” framework, it would seem that Michigan courts would be inclined to enforce non-solicitation provisions set forth in a bona fide settlement agreement. For example, competitors may have been engaged in litigation after one of the competitor’s employees joined the other competitor and allegedly took confidential information allowing the competitor and employee to unfairly solicit and divert customers. This is not an uncommon factual scenario. A settlement agreement settling that dispute may well include a non-solicitation provision prohibiting the offending competitor from soliciting, or doing business with, the illicitly diverted customers. Under the rule of reason, such a non-solicitation agreement would appear to have a legitimate reason—designed not to restrain trade but to restore the parties, as best they can, to the state of affairs that existed before the illicit diversion of customers. This scenario starkly differs from those found in the above-referenced agreements involving major companies who agreed—before any kind of dispute or wrongdoing—not to recruit each other’s employees. A Michigan court taking a simplistic approach may very well categorize the above-referenced non-solicitation settlement agreement between competitors as a horizontal agreement and, accordingly, conclude it is an unlawful restraint on trade. That said, parties who employ non-solicitation provisions within bona fide settlement agreements have strong arguments that the non-solicitation provisions do not qualify as conventional horizontal agreements and should not be subject to the doctrine of per se violations. To the contrary, there are strong policy reasons for permitting parties to solve suspected unfair competition through non-solicitation provisions. Indeed, it is noteworthy that the Department of Justice permitted Ebay, Adobe, Google, Apple, Intel, Intuit, and Pixar to enter into non-solicitation agreements “reasonably necessary for the settlement or compromise of legal disputes.” While non-solicitation agreements among competitors may seem to impair competition on the surface and constitute unreasonable restraints on trade, non-solicitation provisions within the context of unfair competitive practices may actually promote fair competition by addressing and discouraging, among other ills, unlawful diversion of customers. 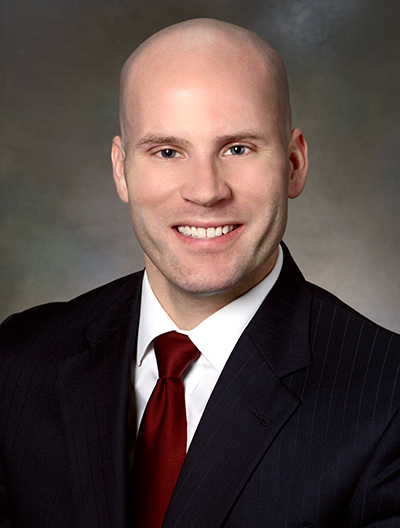 R.J. Cronkhite is an attorney with the Southfield-based law firm of Maddin Hauser, where he is a member of the firm’s Complex & General Litigation Practice Group. Cronkhite currently serves as the Secretary of the Governing Council for the State Bar of Michigan Litigation Section. Michigan Super Lawyers has recognized Cronkhite as a Rising Star in Business Litigation, an award granted to only 2.5 percent of Michigan attorneys under the age of 40.